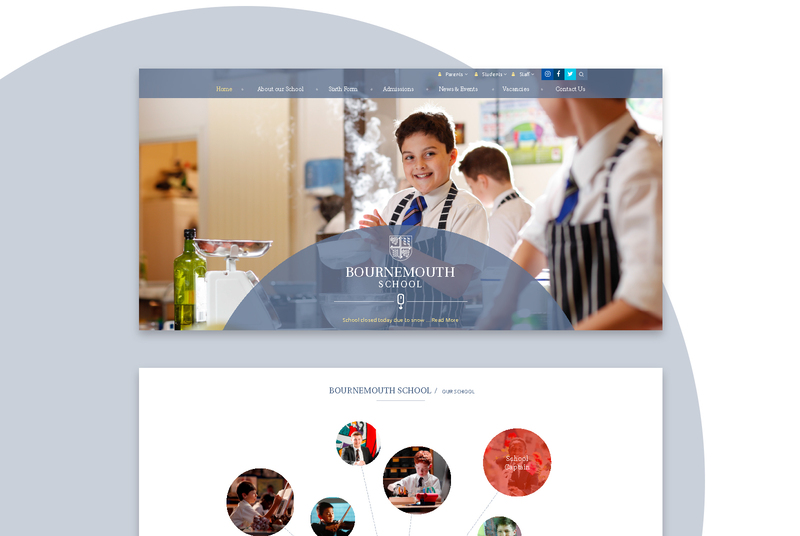 Bournemouth School approached Cleverbox to develop a new website with responsive design, improved functionality and an easy to use content management system. On the home page, creativity meets function with an interactive animated panel guiding users to further key content. News and social media also play an integral part on the website, with a combined panel showcasing the very latest news from the school. As well as our school specific modules that come as standard, additional modules help boost functionality on the new site. Our Key Information module allows parents (and just as importantly, Ofsted), to find all the statutory information they need in one clearly signposted area. A Banners module has also been added to the site as a way to strongly promote key messages or events such as open days. 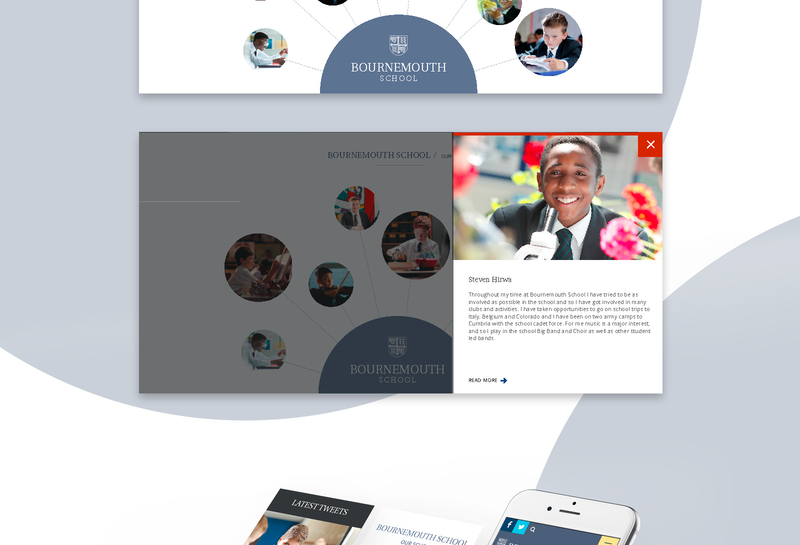 In addition to the website, Bournemouth School are using School Connect App, which they hope will become their primary method of communicating with parents.